Manufacturer’s estimate time of arrival: June 2019. Reserve yours today! The high-speed passenger train that revolutionized rail travel is now available with a paint scheme that includes updated logo graphics, new car and locomotive numbers, and WiFi/AMTRAKCONNECT symbols. Also updated are warm white headlights and ditch lights. 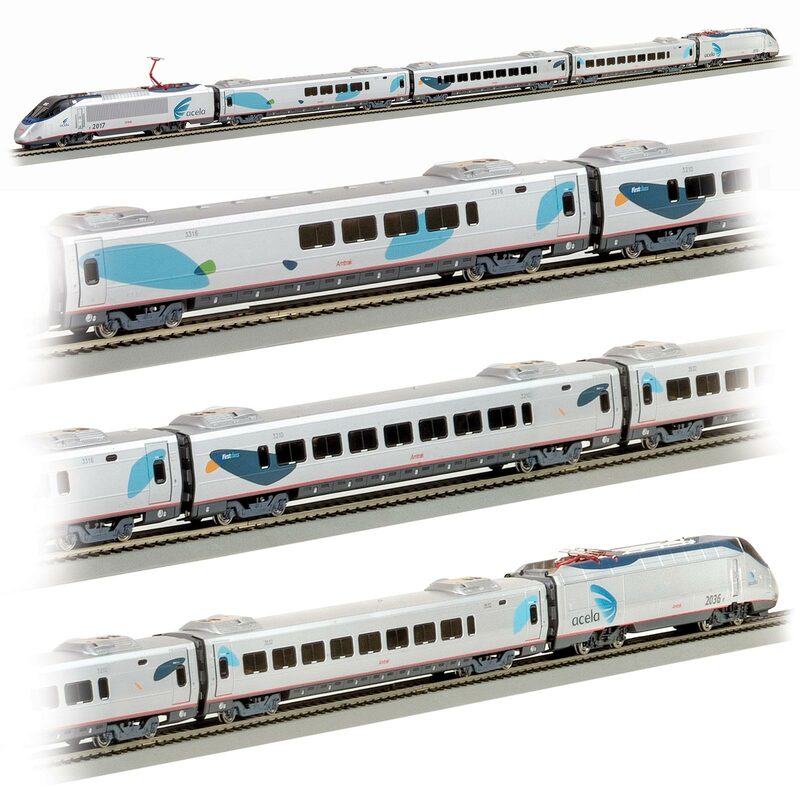 As an official Amtrak licensee of the Acela Express® train, we're proud to present this DCC-equipped* model in our award-winning Spectrum® line. Our Acela Express® features dual locomotives (one powered, one non-powered) that can reach scale speeds of 150. 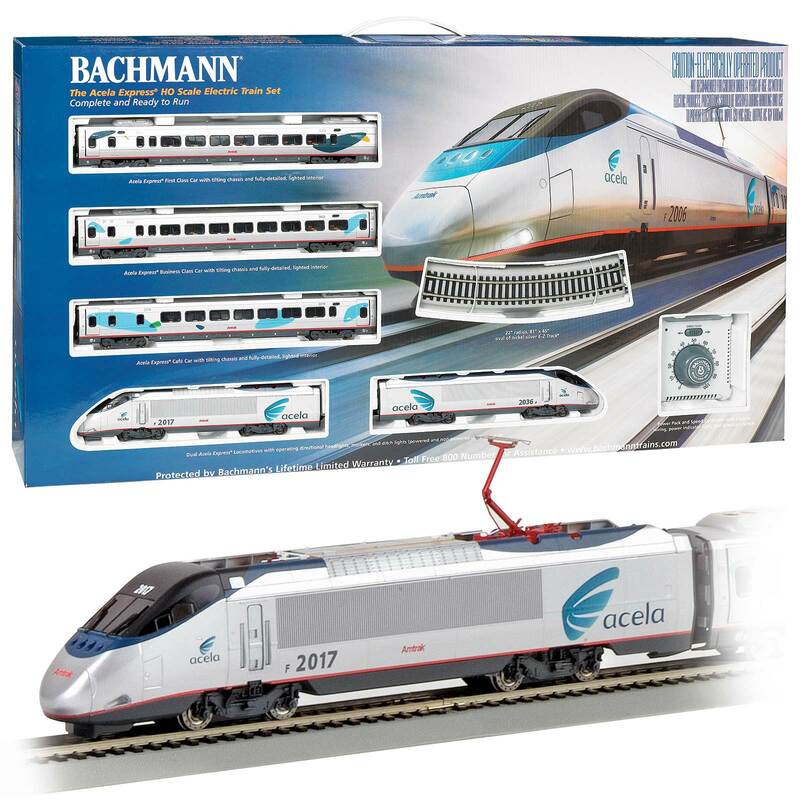 The Acela Express® set comes complete with first class passenger car; end business class passenger car; Cafe Acela® car; 22" radius, 81" x 45" nickel silver E-Z Track® oval; power pack and speed controller; and illustrated instructions. Finescale interior detail, including passenger seats and tables.